For me, whilst having done a lot of car camping, and felt comfortable in the decisions I made when buying that sort of gear, when it came to going on a hike and having to camp out, carrying all I needed on my back, I made mistakes buying gear for hiking. Some costly mistakes. Time and research has been invaluable in helping me make better choices. This story is intended to provide you with information on lightweight options that you won’t get from your local outdoor retailer. I am not going to list everything you need to take on a hike, but pass on some points that you might find worthwhile before you start purchasing your gear. The key point that I have learned since my initial purchases is that having the gear that fits your particular hiking needs can drastically improve your hiking experiences. 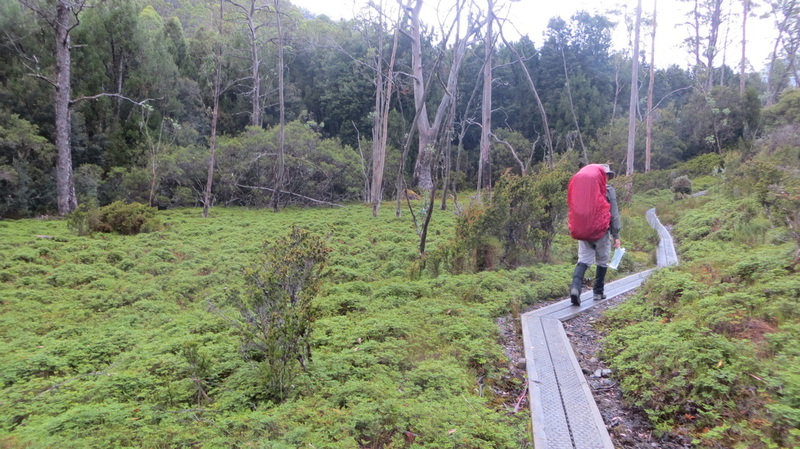 If you go into a retail outlet without a basic understanding of lightweight hiking, your chances of walking out of there with unnecessary (and heavy) crap is greatly increased; especially in Australia where traditional equipment still rules. I visited some outdoors shops and not knowing enough about what I wanted and what was appropriate for me and what was available worldwide, I purchased what was there in the shop – they were the experts in outdoors gear, so I went along with what Australian stores had to offer. Now, better informed, I have sold some of my gear on eBay to fund the purchases of lighter gear that was more appropriate for longer hikes. Unfortunately, not many Australian outdoor retailers have kept up with the latest innovations in lightweight gear, so what they call “lightweight” or “ultra-light” is often quite heavy by today’s standards. That will probably change in the future, but for now, purchasing from overseas is sometimes the only option to get the most innovative lightweight gear on the market. This is a saying that I learnt early on in my hiking; and it’s true. But I think it could be extended a little. Because no matter how fit you are, a sub 10kg pack is always going to be more comfortable than a pack that weighs double that, especially over longer distances. Before you go out and spend a fortune on hiking gear, read up on the lighter options so you have at least some idea of what lightweight hiking has to offer. · I thoroughly recommend Backpacking North – Ultralight makeover to start you off. Note: Although these resources are most relevant for North America conditions, most of it translates well to Australia. Just don’t expect to be sleeping comfortably on soft pine needles too often in the Australian bush. After reading these you may decide that the camping component of hiking is most important to you and still prefer to get all your equipment from your local outdoor shop, but you’ll be better informed, so you can weigh the options and get what’s right for you. Look at some of the gear available at Mountain Laurel Designs and Gossamer Gear. These aren’t the only sites where you can get lightweight hiking gear, but they’ll get you started. How have the above resources helped me? With gear from these two sites, I’ve managed to get my big 3 (pack, shelter, and sleep system) down under 3kg without loss of comfort or safety. My first pack (MacPac Cascade) weighs 3.1kg empty!!! When I bought this pack, it's because I was told it was what I needed, and it was in the shop. Research, has shown that there were other options out there that would do the job, and at a considerably less weight. Some hikes will necessitate going over the 3kg mark for the big 3, but that’s not important. As long as my pack is only as heavy as it needs to be to keep me safe, comfortable, and satisfy my trip objectives, I’m happy. When you’re starting out, try to keep it simple, leaving unnecessary items at home. Borrow or hire as much of your gear as possible, especially the big 3 (pack, shelter and sleep system). If you join a local hiking club, they often have gear for hire at very reasonable prices. Some retailers also offer the hire option. It’s unlikely that you will be able to hire lightweight gear, but at least you’ll get an understanding of how much effort it takes to carry it any distance, and unless you like feeling like a beast of burden, this will put you on the path to lightening your load. Travelling lighter can make the difference between a love or hatred of hiking, as well as how long you are able to physically do it. If that is something that is important to you, it might be worth looking at the lightweight option a little more closely.